Who are the investors in leveraged loans? Leveraged finance refers to the financing of highly levered, speculative-grade companies. Within the investment bank, the Leveraged Finance (“LevFin”) group works with corporations and private equity firms to raise debt capital by syndicating loans and underwriting bond offerings to be used in LBOs, M&A, debt refinancing and recapitalizations. Leveraged buyouts (LBOs): Financial sponsors need to raise debt to fund a leveraged buyout. Mergers & Acquisitions: Acquirers often borrow to pay acquisitions. When a lot of debt is needed, it falls under the leveraged finance umbrella. Recapitalizations: Companies borrow to pay dividends (“dividend recap”) or to buy back shares. Refinancing old debt: There is an old investment banking adage that says “the best thing about bonds is that they mature.” Once a company’s debt matures, the company will need to borrow again to pay for the old debt. 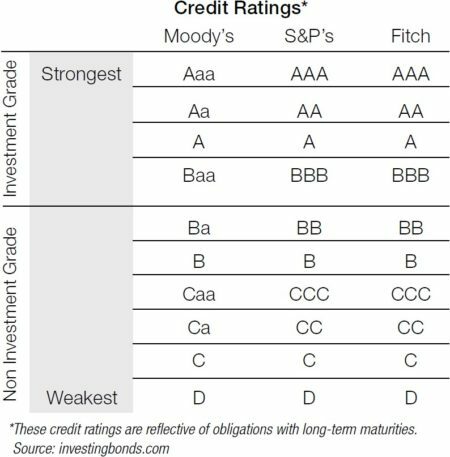 Investment-grade debt (BBB/Baa credit rating or above): Debt issued by companies with a strong credit profile. 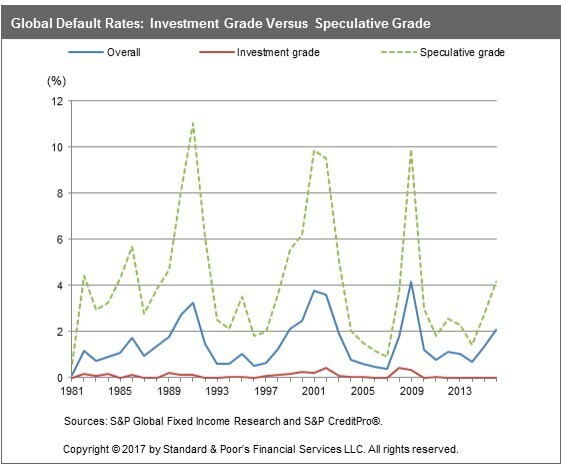 investment-grade debt is considered quite safe and default risk is very low. 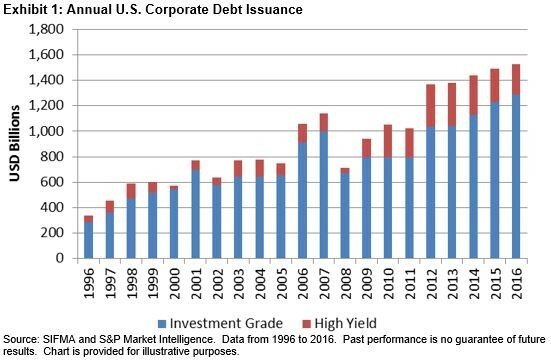 Speculative-grade debt (BB/Ba or below): Debt issued by highly leveraged companies and thus a riskier credit profile. Speculative-grade debt is the world of leveraged finance. Bonds: Fixed coupon-paying securities publicly registered with the SEC that are held and traded by institutional investors. 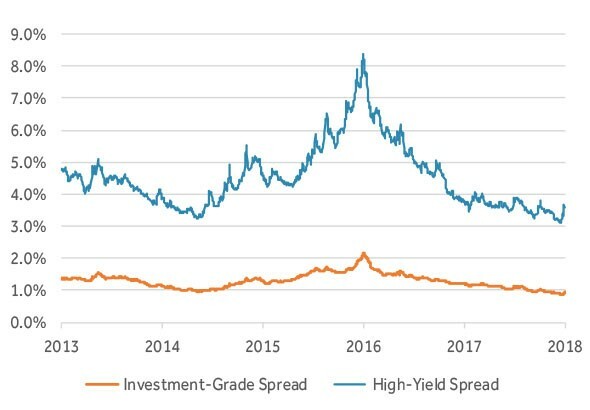 Speculative-grade bonds are called “junk” or “high yield” bonds. Before getting into the specifics of leveraged finance, let’s briefly look at investment-grade debt. Loans to investment-grade firms usually come from traditional banks. They come in the form of low-interest term loans and revolvers/commercial paper. Bank loans are the most senior in a company’s capital structure. Often, these loans are so safe that lenders don't even require the loans to be secured. The relationship between loans and bonds is almost always organized such that loans are more senior than bonds. This is done through a variety of mechanisms that ensure loans will be paid out ahead of other debt (i.e. bonds) in the event of a bankruptcy. Loan syndication: Coordinate with a group of banks to package a revolving credit facility and term loan. By contrast to investment-grade firms, speculative-grade firms are more highly levered, with more tranches of debt. Higher leverage means higher risk of default and bankruptcy (Table 4), which means higher interest rates and more stringent protection mechanisms for the senior tranches of debt in the capital structure. Banks that are willing to lend to investment-grade companies are less comfortable with speculative-grade companies. As a result, most term loans and revolvers in the leveraged loan market are syndicated to institutional investors like hedge funds, CLOs, mutual funds and insurance companies (and some banks). Leveraged loans are usually secured by the company’s collateral and occupy the safest space for a lender in the company’s capital structure. On the bond side, pension funds, mutual funds, insurance companies, hedge funds and some banks make up the bulk of the investors willing to invest in the relatively riskier “high yield” bonds. Why would they take the risk? Remember that high risk = high return. Leveraged loans (also called “bank debt” or “senior debt”) represent senior tranche(s) in a company’s capital structure, with bonds usually making up the junior tranches. Leveraged loans are term loans that are often packaged with a revolving credit facility and are syndicated by an investment bank to commercial banks or institutional investors. Leveraged loans are distinct from high-yield bonds (”bonds" or “junior debt”). Loans usually make up the senior tranches, while bonds are make up the junior tranches of a company’s capital structure. Until the early 2000s, leveraged loans primarily came from banks (called pro rata debt), while institutional investors provided the bonds. Since then, the proliferation of CLO funds and various other investment vehicles have brought institutional investors into the leveraged loan side. 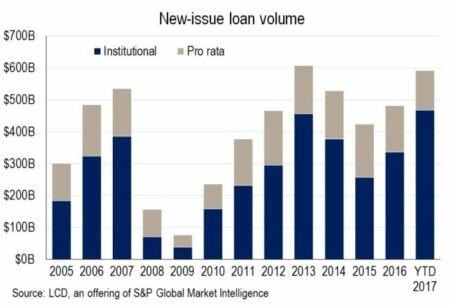 The conquest has been swift, with institutional loans making up most of the leveraged loan market (Table 5). 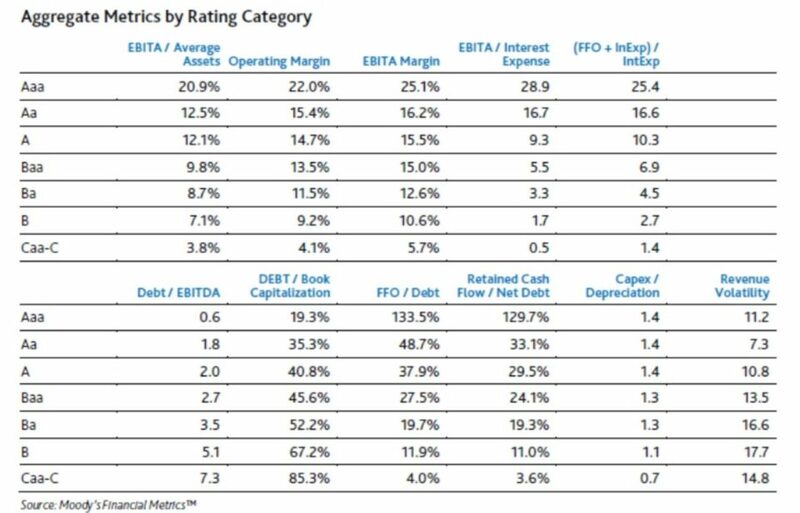 Despite that fact that institutional investors provide more leveraged loans than banks do (table 5 below), leveraged loans are often misleadingly called "bank debt" since banks are traditionally thought of as the primary providers of loans. Because of the higher default risk, the most senior tranches on a leveraged company’s balance sheet (the leveraged loans) will almost always require collateral to back up the debt (i.e. secured debt). That’s because owning secured debt is the key to determining if a lender is made whole in bankruptcy, and granting this security enables leveraged borrowers to raise a sizeable portion of its total debt at relatively low rates. Leveraged loans have traditionally been secured with 1st liens on the collateral and contain strict covenants (maintenance covenants which require regular compliance with various ratios). 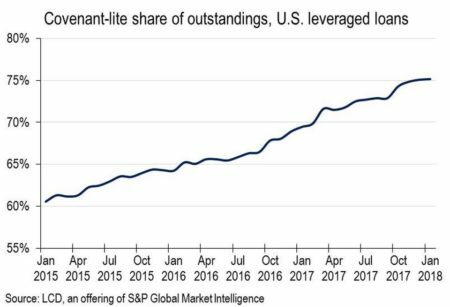 Since the financial crisis, there has been a steady return to more lax lending standards in the leveraged loan market due to a borrower-friendly environment. “Covenant-lite” loans, while still usually secured with 1st liens, contain traditionally looser bond-like “incurrence” covenants, which require compliance with certain credit ratios only when taking a specified action like issuing new debt, dividends, or making an acquisition. As a result, leveraged loans have become an increasingly popular option for borrowers compared to traditional leveraged loans (Table 6 below). 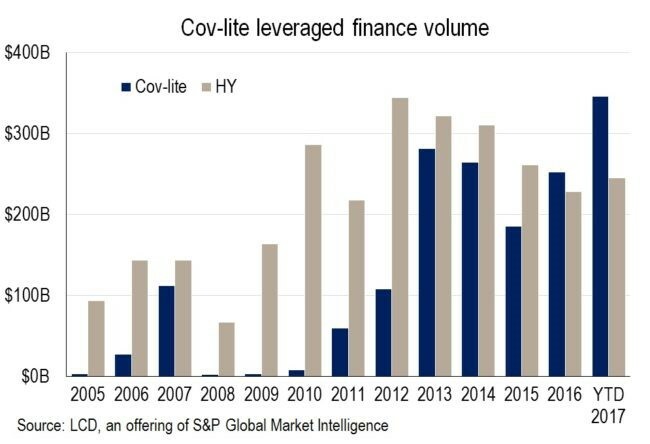 Covenant lite loans have also overtaken high yield bonds in popularity with issuers (Table 7 below), increasing the loan portion of the capital structure relative to bonds. Leveraged loans are private transactions, which can be arranged more quickly that bonds, which require SEC registration. 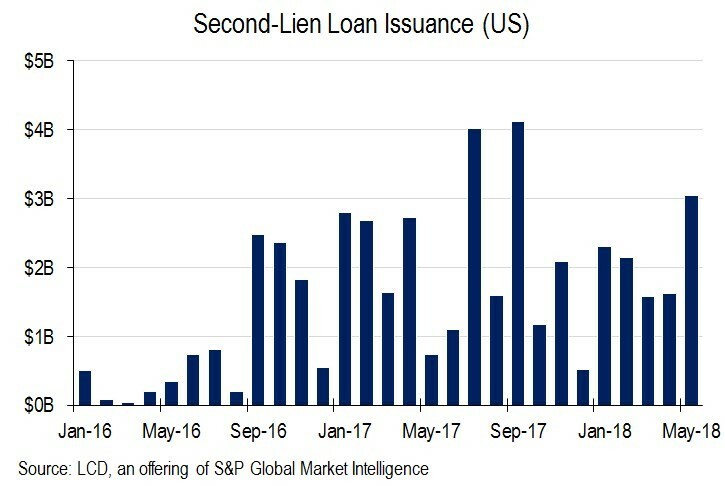 Second lien loans are less common and riskier than 1st lien loans. IF a 2nd lien loan exists, it will sit below a 1st lien leveraged loan in the capital structure and is secured only to the extent that there is excess collateral value after the 1st lien lender is made whole in a bankruptcy. In this case, the $90 million goes to the TLb because it has a 1st lien on the assets. Next, there is $10 million in excess asset value, which would go to the TLc since they have a 2nd lien. Since there is no asset value left, the unsecured bonds get nothing. The recovery rates are therefore 100% to TLb, 20% to TLc ($10 million / $ 50 million) and 0% to the unsecured bonds. The example above illustrates how the 2nd liens add some protection as compared to unsecured, but not nearly as much as the 1st liens. Investors holding second liens (primarily CLO funds) experienced notoriously low recoveries in the 2008-2009 financial crisis and the market for them completely disappeared for a while. While they remain relatively rate due to the higher risks than a traditional term loan, but they have started popping up again (Table 8 below). Revolving credit lines are like a corporate card, allowing companies to draw from it or pay it down based on the company’s short term working capital needs. Revolvers are often packaged with term loans and come from the same lenders (banks or institutional investors). Revolvers can be either secured or unsecured, but in the leveraged loan market, revolvers are almost always secured. Asset based loan (ABL): A revolver where the maximum amount that a borrower can borrow (“borrowing base”) depends on the current value of the company’s assets, most commonly accounts receivable and inventory. The revolver is usually secured by a 1st lien on the very asset used in the borrowing base calculation, although sometimes additional assets are included as collateral. Cash flow revolver: This is the more traditional revolver, where the maximum amount that can be borrowed in any given period is simply based on the historical cash flows that the borrower has generated. While this means that costly and time-consuming monitoring of asset values isn’t necessary, cash flow revolvers tend to have more restrictive covenants. The cash flow revolver can be either secured or unsecured, but in the leveraged loan market, revolvers are almost always secured. The asset-based revolver was once considered a loan of last resort as borrowers were loathe to put up their assets as collateral. However, ABL revolvers have grown in popularity by borrowers due to the relatively lower interest rates charged. In Blackstone’s $5.4 billion LBO of Gates Global, the senior part of the capital structure included a 7-year $2.5 billion lite term loan, a $125 million cash-flow revolver, and a 5-year $325 million asset-based revolver. 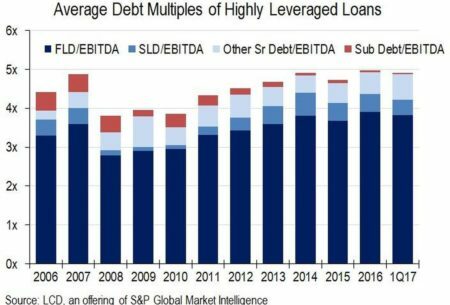 Because leveraged finance involves lending to highly leveraged companies, the amount of debt as a total part of the capital structure is sensitive to market dynamics. We’ve been in a borrower friendly market since the financial crisis and the amount of debt lenders are comfortable is growing, surpassing pre-crisis levels in absolute terms and getting close to pre-crisis levels when benchmarked against EBITDA (Tables 9-10 below). First lien tranches are making up a greater part of the overall debt composition. speculative-grade bonds, also called “junk” or “high yield” refers to bonds rated lower than BBB. High yield bonds enables borrowers to increase leverage to levels that leveraged loans won’t support. 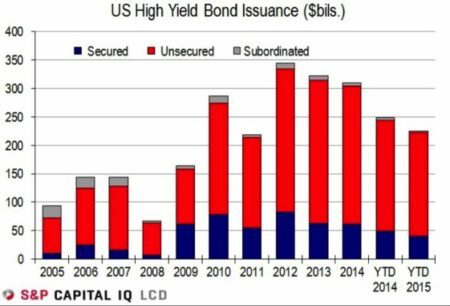 High yield bonds make up a small portion of the nearly $1.5 trillion in annual corporate bond issuances in the United States and represents the junior tiers of capital structure. Read More about Rule 144A (Motley Fool). High Yield Bonds are usually unsecured and can be either senior or subordinated to other bonds in the capital structure (Table 12 below). Being senior or subordinated to another bond has nothing to do with being secured, but instead depends on whether there is an inter-creditor agreement in place between the two (or more) bond tranches. Being senior or subordinated to another bond technically has nothing to do with being secured, but instead depends on whether there is an inter-creditor agreement in place between the two (or more) bond tranches. This makes the senior bond senior only to the subordinated bond. The senior bond is still junior to any secured debt and is on equal footing with any other unsecured claim against the business that it does not have a specific inter-creditor agreement with. Practically speaking, however, senior bonds usually recover more in a bankruptcy because they receive whatever recovery would have otherwise also gone to the subordinated debt. As a result, senior bonds are cheaper for borrowers. With leveraged loans, the borrower can usually prepay principal with no penalties. In debt-lingo, that’s called having no call protection. In other words, the lender is not protected from the possibility of the borrowing paying off the loan and the lender no longer getting interest payments. With bonds, however, call protection is common. This means that if the borrower wanted to prepay in year 4, it would need to repay 105% of the principal owed. This is why, when building an LBO model or the debt schedule of a company with multiple tranches of debt, the model often uses excess cash flows to prepay bank debt (cash sweep) but does not touch the bonds due to the prepayment penalty. Master LBO Modeling Our Advanced LBO Modeling course will teach you how to build a comprehensive LBO model and give you the confidence to ace the finance interview. Instead of paying interest with cash, the PIK toggle gave the borrower the option to pay cash interest or to let the interest accrue and grow the principal balance. 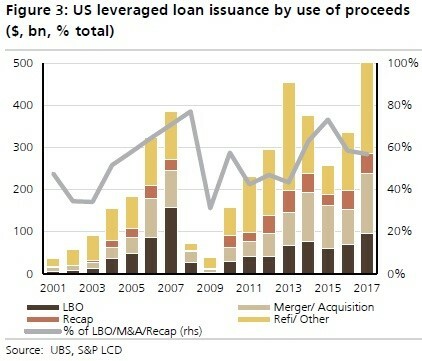 In 2006, when borrowing to finance LBOs was reaching frenzied levels, an “innovation” emerged to enable private equity firms to bring in additional debt to finance an LBO or to do a dividend recapitalization without having to pay cash interest immediately: The PIK-toggle. Instead of paying interest with cash, the PIK toggle gave the borrower the option to pay cash interest or to let the interest accrue and grow the principal balance. As an alternative to this binary option, notes were also sometimes structured with a predefined combination of cash and PIK interest. 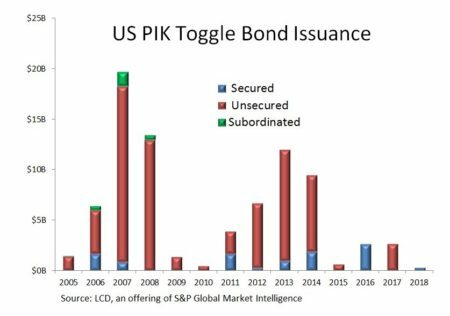 While PIK notes disappeared for a while following the financial crisis, they’ve had a modest resurgence, albeit with stricter investor protections and still amounting to a very small portion of overall high yield bond issuances volume (Table 13 below). “J.Crew is driving by with a $500 million offering of six-year (non-call one) senior PIK-toggle notes via bookrunners Goldman Sachs, Bank of America, Morgan Stanley, and Wells Fargo, and price talk is for a 7.75-8% coupon at 99.5, according to sources. The guidance works out to an approximate yield-to-worst range of roughly 7.875-8.125%. Mezzanine debt broadly describes financing between senior secured debt and equity, which would place 2nd lien debt, senior and subordinated bonds into the category. Mezzanine debt refers to financing with debt and equity like features, sitting below the traditional loans and bonds but right above common equity. Purpose: Mezzanine financing is primarily used to fund leveraged buyouts, when the financial sponsors want more debt in the capital structure than conventional leveraged loans and bonds can offer. Investors: Hedge funds and mezzanine funds are the primary mezzanine investors, often tailoring the investment to meet the specific needs of the deal and earning returns higher than those earned on high yield bonds. Unsecured: Mezzanine debt is usually unsecured with few/any covenants. Target returns of 10%-20%: For the extra risk, Mezzanine investors often target a blended return of 10-20% on their investment. Private transactions: Mezzanine financings are usually private transactions, so liquidity is lower than high yield bonds. Call protection: Call protections vary, but usually similar to high yield bonds. Paid-in-cash (PIK) interest: Rather than paying cash interest, the interest owed is accrued and becomes part of the principal owed. Warrants: Mezzanine investors may seek to include warrants as part of the financing. Warrants act exactly like employee stock options such that the mezzanine investors have the option to exercise their options and turn them into common stock, usually amounting to 1-2% of the total equity of the borrower. Co-invest: As part of the financing, Mezzanine investors may seek the right to co-invest equity alongside the controlling shareholder, such as the financial sponsor in the case of funding an LBO. 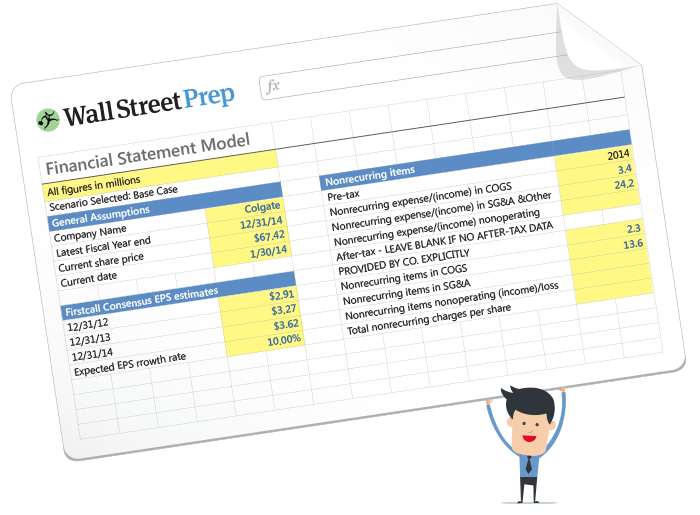 Conversion feature: Whether investors structure the financing as debt or preferred stock, making those investments convertible to common stock enables investors to participate in equity upside in addition to receiving structured dividends or interest payments. Ranking: Subordinated and unsecured. Will sit below bank debt and a senior note and make up 10% of the total debt outstanding. Equity Kicker: Warrants amounting to 2% of the equity.